Azalea Agency is a St Louis based Talent Agency specializing in Actors, Models, and Voice Over Artists. Azalea represents Non Union talent as well as SAG and AFTRA actors. In fact, Azalea has been franchised with AFTRA since it’s inception. Azalea also has great stylists available. 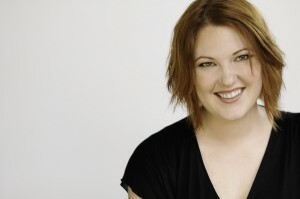 Mandi Morris opened Azalea Agency in April of 2001. With a background as an on camera actress, model and voice over artist herself, Mandi has a unique approach to the industry as she knows what it is like on both sides of the camera. As an agent who deals with clients and talent everyday, this understanding goes a long way towards making the audition and hiring process a smooth one for everyone involved. Azalea has always considered itself a boutique style agency and strives to maintain a smaller hand picked talent pool for it’s clients. Mandi believes in quality, not quantity. Talent asked to join Azalea are selected for their excellent skills, great looks, professional behavior and outstanding personalities. Clients can always be confident when hiring an Azalea Talent. The relationship between an Agent and a Talent is a symbiotic one. Azalea Agency is defined by the great talent it represents. As a smaller agency, Mandi can offer a personalized approach to her Talent which means Actors and Models are more than just names on photos. With over ten years of experience in the industry, Mandi brings a wealth of knowledge to benefit both Clients and Talent at all stages of the casting process and talent development.